It’s been more than half a century since Diana Ross stopped by the Motown Studios every day, begging to be part of the Detroit record label’s roster. It hasn’t quite been that long since Ross played Kansas City (it just feels that way), but the determination and energy that caught Motown founder Berry Gordy’s eye back then was still on full display Sunday night at the Midland theater. Ross’ tight, 80-minute set raced through her biggest moments at Motown, encompassing the Supremes, solo albums and soundtrack work. A few covers of songs by influences and contemporaries were sprinkled throughout. As expected, ’60s material generated the most sing-alongs, but the ’70s disco material kept everyone on their feet. Setlist: I’m Coming Out; Where Did Our Love Go; Baby Love; Stop! In the Name of Love; You Can’t Hurry Love; Touch Me in the Morning; Love Child; The Boss; Upside Down; Love Hangover; Take Me Higher; Ease on Down the Road; The Look of Love; Don’t Explain; Why Do Fools Fall In Love; Theme from “Mahogany”; Ain’t No Mountain High Enough; I Will Survive. 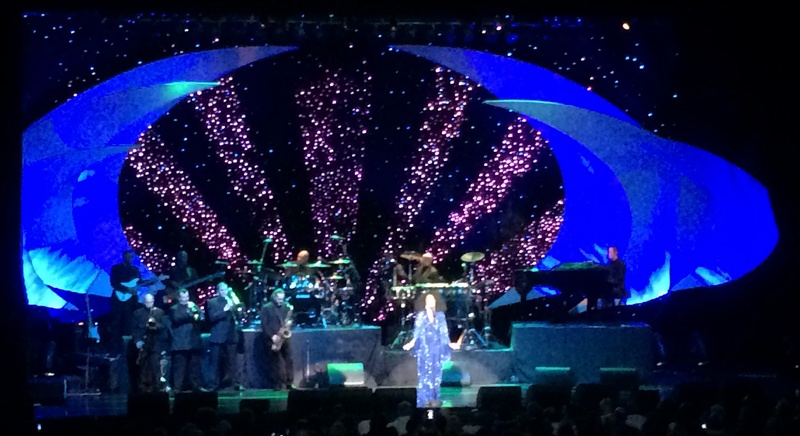 Encore: Endless Love; I Will Survive (reprise).